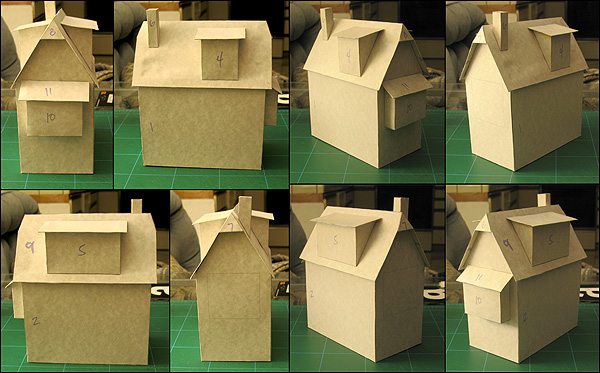 Here's a paper test for half-hipped roofs (worked just fine), using the same shell as the Grey Hare Inn. I can modify this design in a lot of different ways, so this won't be the final configuration. Not entirely sure what kind of product this is going to be -- a Rake's Corner model, a multi-layered model with winter skins, the basis for a ruin -- maybe all three. With your amazing talent for layers, I am sure that can be ANYTHING from a Bed & Breakfast to a Space Port Checkpoint to a Wild West School house. The only thing that exceeds your talent is your imagination.